Fynbos (meaning fine-leaved plants) is a small belt of natural shrubland, or heathland vegetation found only in the Western Cape in South Africa. Fynbos is known for its exceptional biodiversity and endemism, comprising about 80% of the total species of the Cape floral kingdom, the smallest of six floral kingdoms in the world. Fynbos has faced severe threats of extinction due to urbanisation, but conservation efforts are being made to help restore it. The well-known King Protea and Rooibos plants are part of the Fynbos flower family. A very large number of Fynbos plant species are used in traditional medicine, with the indigenous Khoisan tribes having used fynbos for medicinal purposes for centuries. While only a tiny proportion have as yet been subjected to formal testing, many have already been identified as having healing properties. Rooibos tea grows naturally in only one place in the world: on the slopes of the beautiful Cederberg Mountains, about 3 hours North of Cape Town, South Africa. It’s a plant so robust and unique, that only the South African terroir can withstand it. Our products are made with only raw honey, and it’s the closest you’ll get to honey that’s straight out of a beehive. It’s a pure, unfiltered and unpasteurised honey made by bees from the nectar of flowers. South African based TerraSan Group, its subsidiary, Aqunion Wholesome Foods, a well-known South African abalone farming operation, and hand-selected honey farmers in South Africa. 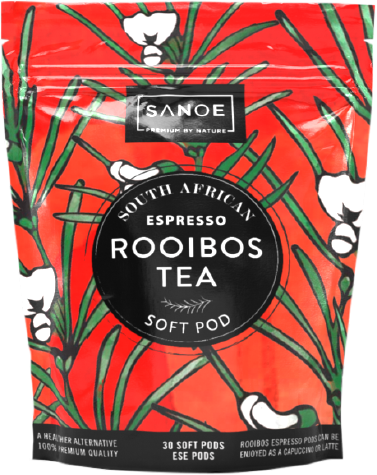 SANOE was born out of passion and a shared vision to supply the world with rare South African food resources. Focussing only on the highest quality natural, healthy and sustainable products, our dream was born; Premium by Nature! 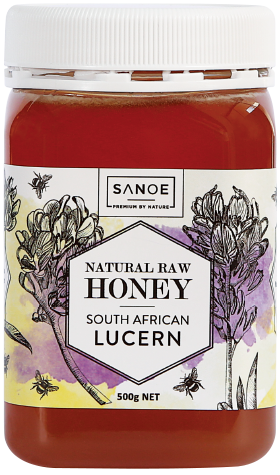 SANOE is a partnership between the South African based TerraSan Group, its subsidiary, Aqunion Wholesome Foods, a well-known South African abalone farming operation, and hand-selected honey farmers in South Africa.